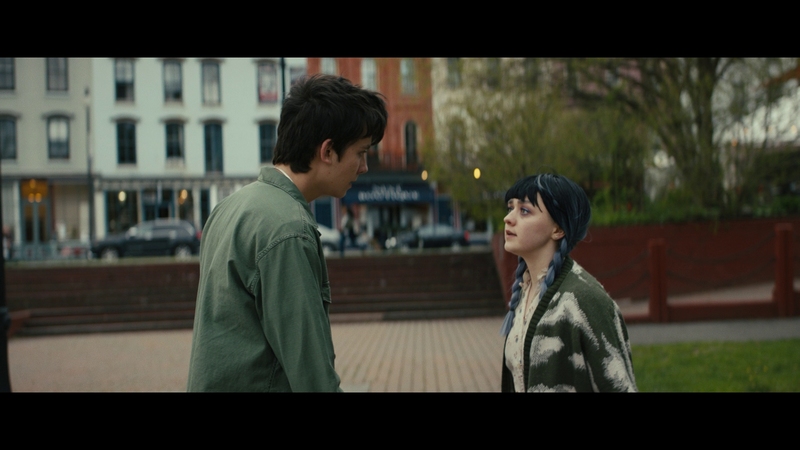 Then Came You is a pleasant, inoffensive teen dramedy that explores a terminally ill teenager’s last weeks befriending a socially awkward hypochondriac. What they mean to each other becomes the film’s uplifting message. 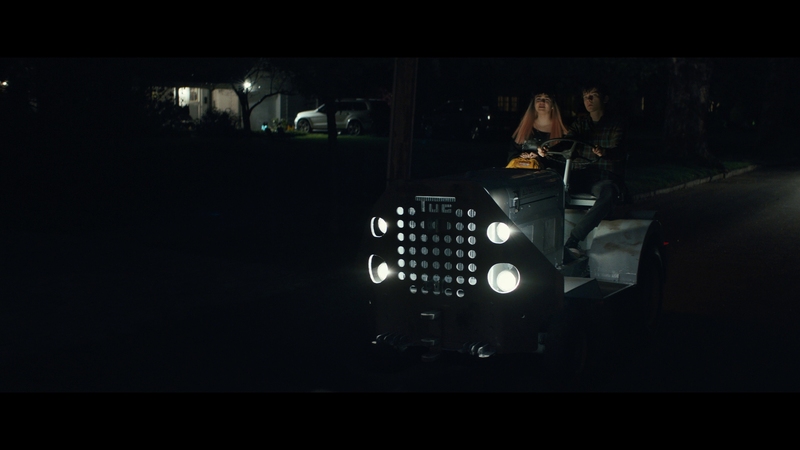 Surprisingly upbeat considering its subject matter and owing a debt to any number of romantic comedy tropes, Then Came You has some cute moments and a few eye-rolling slips. Then Came You isn’t going to change your life delivering its firm intentions. The cloying sentimentality undercuts its message you should live life to the fullest while you can. But the movie has its heart in the right place, the uplifting themes are told with spirited characters and engaging humor. 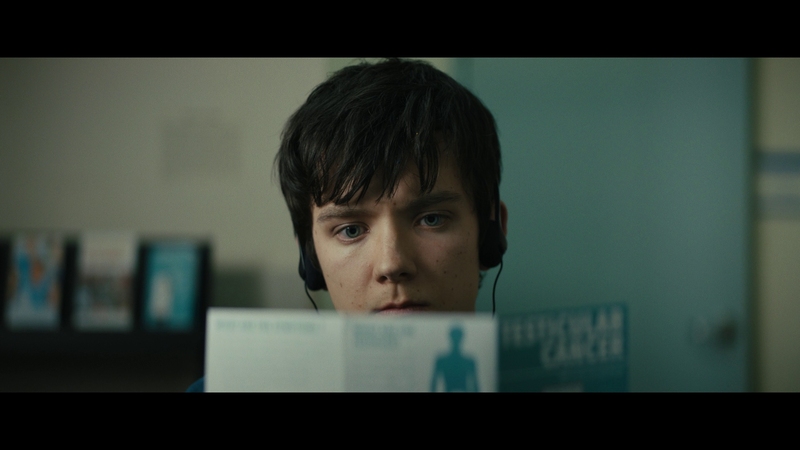 Having dropped out of college, the hypochondriac Calvin (Asa Butterfield) works as an airport baggage handler with his father. Calvin is obsessed with the idea he has cancer, going so far as to attend cancer support groups for the terminally ill. He’s forced to confront his deepest fears when a spunky teen girl named Skye (Maisie Williams) with terminal cancer enters his life. Skye enlists Calvin to help carry out her eccentric “to-die” list, recognizing a kindred spirit in the young man. Despite having a terminal illness, Skye is a pure fireball of life that wants to accomplish an increasingly quirky list of goals before dying. 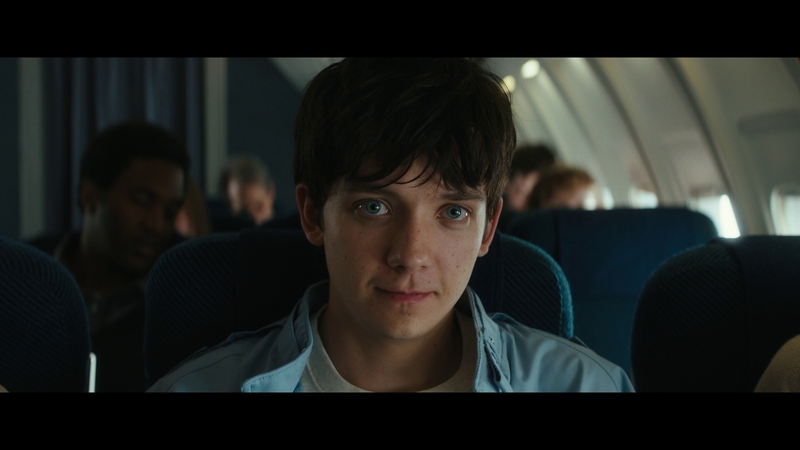 Peter Hutchings’ movie is largely carried by its primary stars, Maisie Williams (Game of Thrones) and Asa Butterfield (Ender’s Game). The drama and comedy both hinge on the two lead stars. Most of the time they meet the challenge. Former television star Nina Dobrev (The Vampire Diaries) plays an older love interest chased by Calvin. A diverse supporting cast includes small roles by Tyler Hoechlin, Sonya Walger, Peyton List and David Koechner. One of the film’s bigger weaknesses is an almost relentless parade of musical montages set to the pop music soundtrack playing in the background. Whenever the drama bogs down or needs another emotional beat to change the mood, here comes another montage. Let me get it out of the way that there are few bigger fans of actress Nina Dobrev than myself, who carried Vampire Diaries for six seasons as Elena. That being said, she’s not a great fit for the Izzy character, an older and beautiful flight attendant that Calvin pines over from afar for much of the movie. How their relationship develops comes across as a phony and insincere deus ex machina. It’s hard seeing a kid like Calvin, shy and awkward as played by Butterfield, actually landing someone like Izzy. Someone closer in age to Butterfield would have been a better choice. Then Came You is a fine, almost fluffy teen dramedy that deals with serious issues often using a lighter hand. Maise Williams is especially good at delivering a high-energy performance that plays well against Butterfield’s more reserved performance. The oddly upbeat duo make a good team, even as the reality of Skye’s terminal illness sets in for her and everyone around her. If you are searching for searing, hard-hitting teen drama about a dying girl, this is not really your movie. However, Then Came You is rich with emotion and poignancy. Delivering a message on friendship and the value of enjoying life, the uplifting movie is a pleasant diversion. The 2018 movie comes from Shout Factory looking spiffy on Blu-ray (spiffy isn’t a technical term but maybe it will be in the future). This is excellent, consistent HD quality befitting a new production with major Hollywood talent. The 1080P presentation is shown at its 2.40:1 theatrical aspect ratio. Running nearly 97 minutes, the main feature is encoded in transparent AVC on a BD-50. It receives a technically well-done transfer straight from the movie’s digital intermediate. You can see why Shout Factory thought the indie movie deserved a Blu-ray release. The video itself is sharp with real definition. Flesh-tones are rendered neutrally with realistic shading. The color grading maintains a fair contrast and stable black levels. Colors don’t leap off the screen but saturation is even. Nothing screams demo material but fine detail is evident. This is a transfer without processing. Nothing has been done to soften the picture quality for Nina Dobrev or Maisie Williams. The 5.1 DTS-HD MA audio has an ordinary surround mix littered with the occasional pop song. Outside of the musical montages, the dialogue-driven scenes are largely contained to the front soundstage. The songs receive a fuller, more expansive presentation with actual LFE. Dialogue remains completely intelligible in the nicely balanced and dynamic audio mastering. Optional English SDH subtitles play in a white font, inside the scope presentation at all times. This isn’t one of Shout Factory’s loaded special editions, but the indie movie does get a comprehensive behind-the-scenes featurette. Learning To Live (20:24 in HD) – A behind-the-scenes featurette with director Peter Hutchings, writer Fergal Rock, and the main cast members. It’s a nice piece that delves into the script’s creation, casting, and even Skye’s carefully chosen wardrobe selection. The cast seem into the movie and engaged about their characters. A teen dramedy about a dying girl saved by its cast’s strong performances and comedic touches. Maisie Williams and Asa Butterfield play off each other nicely as two friends facing a traumatic conclusion to their relationship. The 15 unaltered images below represent the Blu-ray. For an additional 16 Then Came You screenshots, early access to all screens (plus the 20,000+ already in our library), 75+ exclusive 4K UHD reviews and more, support us on Patreon.